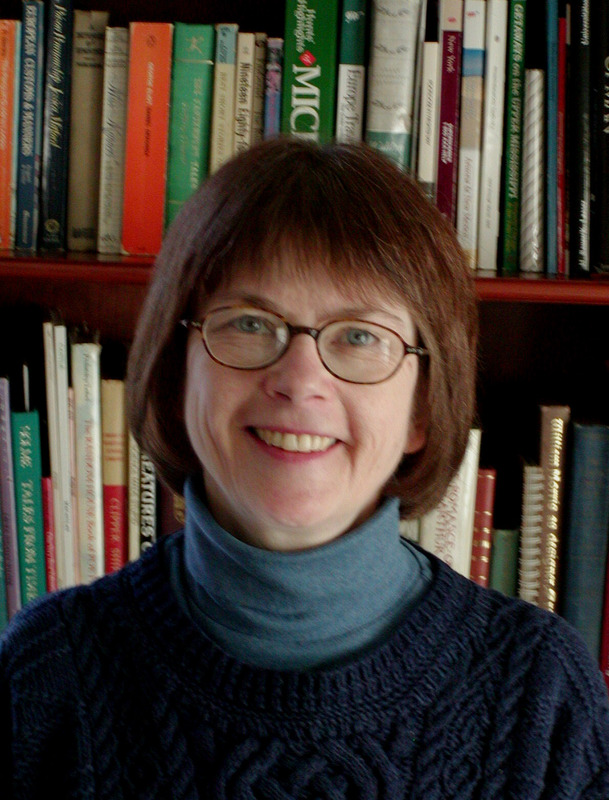 Nancy Shaw is the author of Raccoon Tune, Sheep in a Jeep, and six other sheep adventures. Her books have received IRA/CBC Children’s Choices citations, School Library Journal Best Books of the Year listings, the Oppenheim Toy Portfolio Platinum Book Award, Parenting’s Reading Magic Award, and Parents magazine Best Books of the Year listings, among other honors. She gives talks at schools, libraries, and conferences. She was born in Pittsburgh, Pennsylvania, grew up in Midland, Michigan, and holds degrees from the University of Michigan and Harvard University. She and her husband live in Ann Arbor, Michigan, and have two adult children. Her first book, Sheep in a Jeep, got started when they were young, after reading animal rhymes on a car trip. Elena’s Story came from a trip she and her husband made to visit their daughter in Guatemala. Elena, who speaks the Mayan language Mam at home, struggles to practice reading and Spanish for school, while helping with the family chores. When she shares a picture book with her little brother, her mother gives Elena the job of being the reader. A: When I first put this story together, I sent it to my daughter, who was working in forestry as a Peace Corps Volunteer. She read her Spanish translation of it at a meeting of municipal foresters from the area, and lots of them came up to her afterwards and said they loved it, and would like a copy. When she told me that, I felt that this story really should be a book. Q: Describe part of the research process it took to write this manuscript. A: The story came to me after I got home from Guatemala. It needed to be anchored in what I remembered–such as the corn planting we saw in mid-April, just before the rainy season; or the parents going to school to hear grade reports. If I’d thought on the trip that I would want to set a story here, I’d have been snapping pictures of cooking, classrooms, and gardens. My daughter filled in with photos and answers as she finished her Peace Corps stint. After she returned to the U.S., she asked her Guatemalan friends to tell us, as the story progressed, what was authentic, and what might be a bit off. The process was more so with illustration, because the details are so specific–the way a flue comes out of a stove, the way a baby is tied on a mother’s back, the shapes of hoes and water jugs. I provided some photos we’d taken. I also found some Internet sources, including a YouTube that Peace Corps Volunteers had made in a neighboring area; and Kristina Rodanas found other visual references. Q: Share the journey you’ve taken as a writer. A: I learned to read easily when I was a kid. I have vivid memories of Ellen Tebbits, Half Magic, Mrs. Piggle-Wiggle, and Uncle Scrooge Comics. Enjoying what I read made me want to write. When I read to my children, it was the funny books they wanted to hear again and again. The sheep stories that came from playing with sounds suited that mood, and were useful to speech and reading teachers as well, since they used predictable sounds to tell zany stories. The more I read about early learning, the more I wanted people to know how important that early connection with stories is. When I met kids who hadn’t enjoyed the story connection with printed matter, this non-zany story wanted to be written. Nice interview, Nancy & Nancy! That’s neat you were able to grab a story while you were in Guatemala! Lovely interview. SHEEP IN A JEEP was one of my kids’ favorite read-aloud bedtime stories when they were little. And as a writer of zany stories myself, I really enjoy that one too. 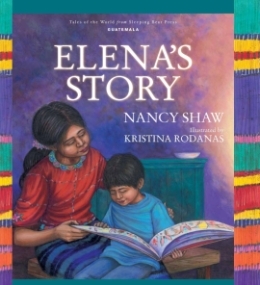 I have not read ELENA’S STORY, but it sounds like a beautiful story and one that my kids, who are now older, ages 12 and 7, will be interested in. I agree with you, Tina! What a great idea!!! SHEEP IN A JEEP is one of my favorites, too! Congratulations on your new book, Nancy. 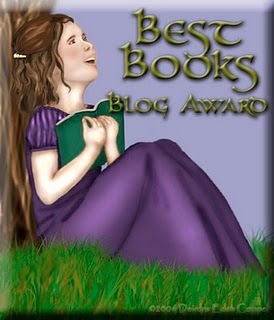 May it really touch the hearts and minds of young readers and adults alike. Interesting interview, Nancy! She really seized the moment in Guatemala, didn’t she? Good for her for following through on her hunch that this would be a good story to submit for publishing. Another PA girl too! I love the book, Sheep in a Jeep! It was one of my son’s favorites. Elena’s Story sounds like a really good book. I’ll have to check it out.